Milky Way galaxy above an alpine tarn on a frosty winter evening. Beech tree forest (Fuscospora sp.) lit by torch light. 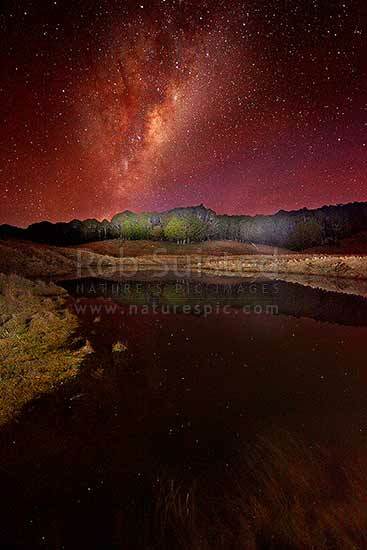 Cannan Downs, Abel Tasman National Park, Tasman District, Tasman Region, New Zealand (NZ), stock photo.